We would like to wish our American subscribers a Happy Thanksgiving and hope you are all enjoying a well-earned break with family and friends. We are very pleased to announce that our Winter Promotion begins next week! 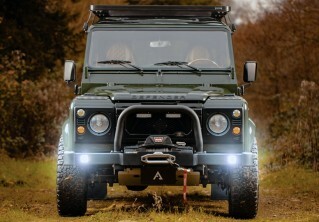 In the holiday spirit, we will be offering a $10K deposit contribution on our custom Land Rover Defender builds. This limited offer will run from 28th November until the 31st December with just ten slots available! As it is the season for giving, Arkonik will also be donating to charity for every deposit placed during this time period. You guys are really a cut above the rest. As part of our 2017 Winter Promotion, we offered clients a trip to Arkonik and a festive experience to remember. Next week, these clients will arrive with us to enjoy a tour of Arkonik and a thrilling full day Drive Experience deep in the stunning Malvern Hills. As well as this, they will also get to experience the world-renowned Bath Christmas market and Thermae Bath Spa. If you would like to arrange your own trip to Arkonik, please get in touch. Another D110 design has recently entered the build process and is currently in the workshop having its lowered suspension fitted. 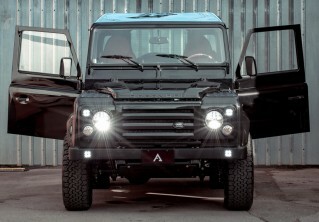 This client plans to use his Defender as a daily driver, using it primarily for “hauling the family around on urban adventures”. He was inspired by the look of our SAHARA Edition which also included a lowering kit, as featured below.